Last week, I was given complimentary tickets to attend The Bootmaker and The Elves. 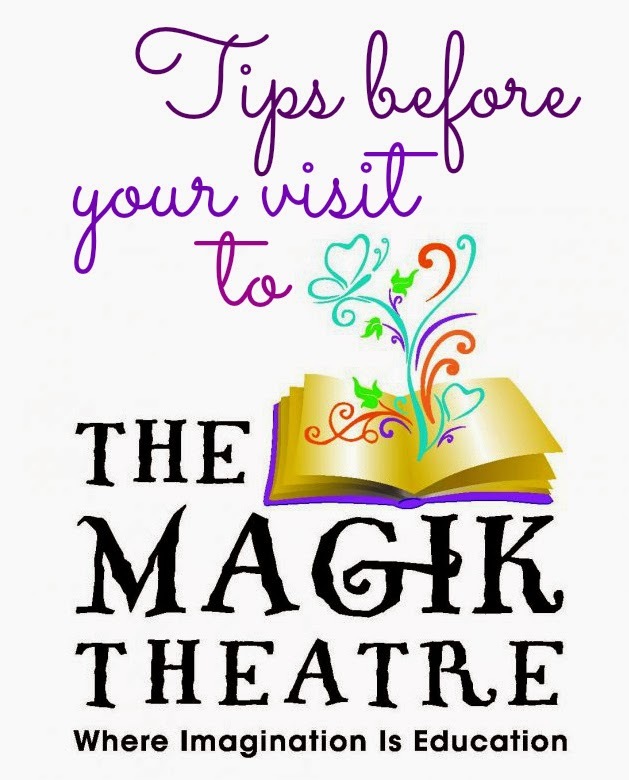 It was not our first time seeing a play from the Magik Theatre, we've been to a free show during the week and seen their performances on the road, but it was our first time attending a regular season show. The show was just as expected: funny, silly and kept the kids engaged. The Bootmaker and the Elves is the story of a bootmaking cowboy, Luke Casey, who is just starting his bookmaking business. He leaves out leather in his shop overnight and to his surprise magical, singing elves make make the boots! (I can still hear the song in my head!) Word about the beautiful boots gets around town and another bootmaker, Tony Llama, pays Luke Casey a visit. Then, the good old western ensues! Good guys, bad guys and a live country band, this play had it all! Arrive early, seating is general admission. Bring cash, snacks are for sale and there's bottles of Starbucks for you coffee loving moms. 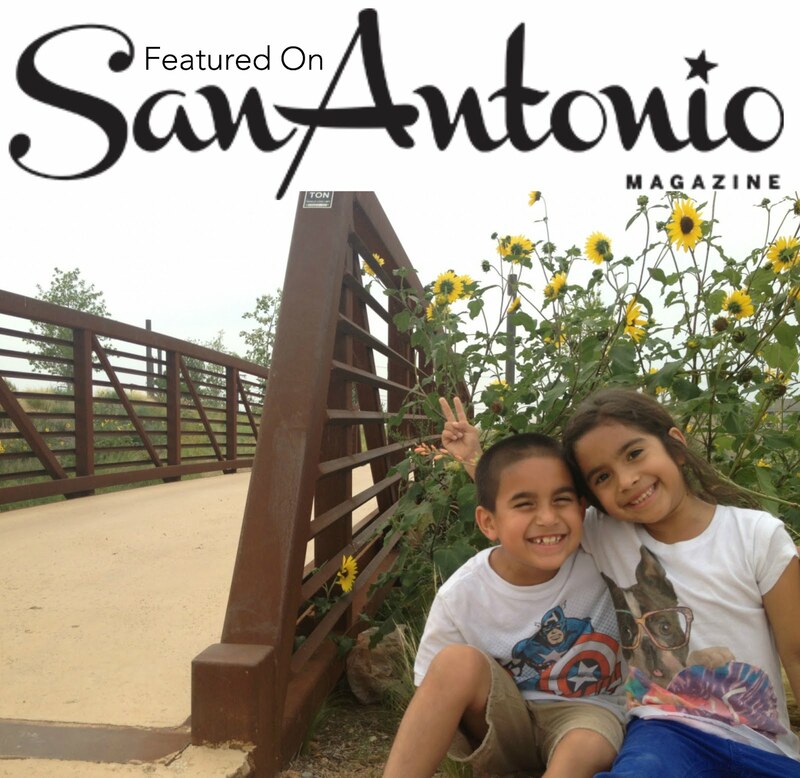 Make sure to pick up a program, there have Discussion Questions for you and your kids to really stay engaged and a list of Magik Must Reads! Check out parking before you go. I always park on a meter on Cesar Chavez. Plan to stay a while afterwards, so you can meet the cast. 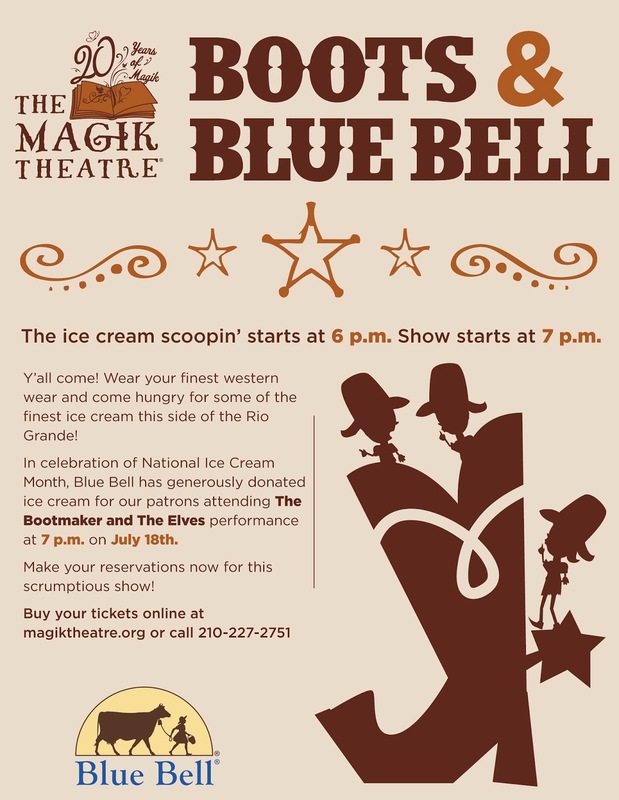 Make sure to follow The Magik Theatre on Facebook so you don't miss out on fun events like Boots & BlueBell happening this Friday, July 18th!